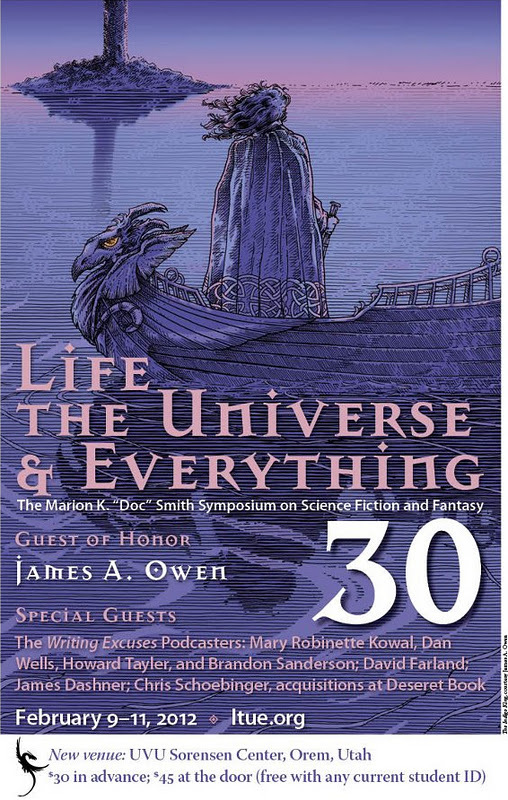 Life, the Universe, & Everything (LTUE), speculative fiction writing conference starts today and runs through Saturday. Friday morning I'll be on a panel titled "Stealing from historical and current events." I'll also be participating in a book signing that night. It's a great conference and for $30 admission, it's a steal considering all the awesome workshops and authors that are participating. See LTUE's full schedule here.